The room in which I am typing this little epistle is warm. It was not always thus. Shortly before my arrival home in France it had been minus 11 degrees – just ask my plumbing. The water supply into the house was frozen so there was no water. Fan heaters, gas space heaters and hair dryers were employed until water reached the meter, which kinda exploded. A sweet guy from SAUR turned up and fitted a new one. The water advanced slowly through the house. The air temperature reached a positive number. Radiators burst, frost sparkled on the inside walls. We travailed with spanners and buckets. I dreamed of oysters and moules marineres. We ate cold tinned ravioli. Wonderful neighbours arrived with heaters and advice. We plugged in heaters and blew the electrics. We warmed on the advice. Invitations flooded in. I longed for daylight. Outside it was minus 7. Inside I reached absolute zero. Gilles was Gallic and shrugging his way through the “comedy of life”. He is calm and sometimes I hate him. Around midnight we went to bed. I was dreaming of water – great waves of gushing running water – maybe purging my anger, maybe purging me of the morally equivocal life I’ve led. Maybe dumping 931 litres of freezing water through the ceiling….Yes, the water had reached the upstairs bathroom and found a detached flexi-pipe. 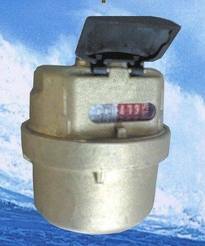 I ran downstairs through a downpour of water and got to the inlet valve. I glanced at the new meter which had started at zero. It read 931 litres. Well – it’s always nice to know the size of a problem! Water was about 2 inches deep through the entire ground floor. Gilles arrived and commented on “La comedie de la vie”. We swept, scooped and sponged the night away. Around 7.30 am the daylight I had longed for arrived. We surveyed the ruin. I suppose it is a comedy really……. Today, the world’s most helpful and kind plumber arrived to replace radiators. I have spoken of this guy before in a previous blog. He is an old school craftsman and gentleman. If you live in the Saintonge area I cannot recommend him too highly. Soaked furniture and possessions are slowly drying out. We are alive, fed and have a home. OK – It’s St Valentines day tomorrow. In the Super U hypermarket at Saintes there were not whole sections of the shop dedicated to cards, red velvet heart shaped cushions, teddy bears and special red roses. The main special feature was fat duck livers. In Walmart in the UK the merchanisers had gone mad. I reckon that the first guy to market heart shaped Valentine double dipper recession burgers in a red ribboned box will clean up. 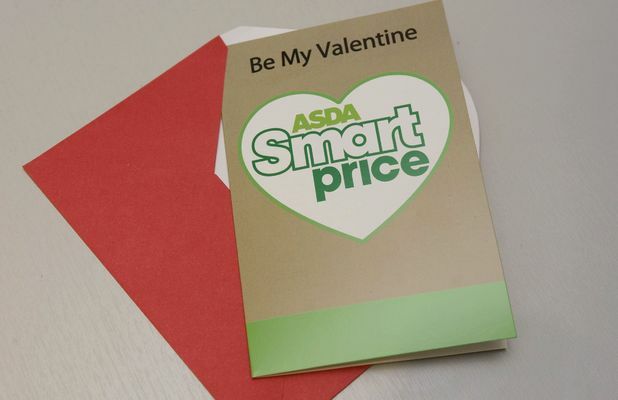 The ASDA (UK Walmart) brand have marketed a smart price budget Valentine card for 7 pence, (11 US cents). I guess that this was a tongue in cheek exercise to publicise their Smart Price no nonsense pricing. If so, I take my hat off to them. If Gilles has even thought of buying me one there will be no further blogs for a while unless I can post from prison. Several days in cold water, ice and propane gas fumes have diminished my normal romantico flame and passion. Tomorrow is another day and I wish you love. Emma thinx: Don’t throw cold water on a flood of kindness. This entry was posted in Emma Calin, flood, ice, plumber, SAUR, valentine, water meter by emmacalin. Bookmark the permalink. I brought Christina from Vancouver, B.C. to Mentone, Alabama,in July 1996, with a number of promises – one being, “It's warmer there.” Late in February we experienced the ice storm from hell. No power for 14 days, no way to get off the mountain, and temperature below freezing every minute. We slept on the floor near one of two sources of heat – a small gas heater mounted on the wall and Tigger, Christina's 100 pound Bouvier. I've failed to keep other promises I made to lure her away from her beloved Canada, but I've kept the love, honor, and cherish one, and I always will. Have a wonderful, gushy, warm, Valentines Day. God, I love that man. And having had my share of frozen everythings from Canada, I can truly empathize. So on this eve of love may you feel mine and my utter delight at calling you friend. P.S. The dog was a lot warmer than the heater! I sympathise having had a slightly similar experience on Christmas eve in a house with 5 kids and 3 cats! Plumbers don't want to come out on Christmas Eve in the UK! Oh, my goodness, Emma, you've had more than your share of travails! Wishing you a warm and lovely St. Valentine's evening and NO repeats of that experience! You're a real trooper, my friend. Hats off! !